Young children live with awe and wonder as their daily companions. But as they grow, worries often crowd out wonder. Knowing this, how can parents strengthen their kids' love for the world so it sticks around for the long haul? Thankfully, parents have at their fingertips a miracle vaccine-one that can boost their kids' immunity to the world's distractions. Well-chosen stories connect us with others, even those on the other side of the globe. Build your kids' lives on a story-solid foundation and you'll give them armor to shield themselves from the world's cynicism. You'll give them confidence to persevere in the face of life's conflicts. You'll give them a reservoir of compassion that spills over into a lifetime of love in action. Give Your Child the World features inspiring stories, practical suggestions, and carefully curated reading lists of the best children's literature for each area of the globe. Reading lists are organized by region, country, and age range (ages 4-12). Each listing includes a brief description of the book, its themes, and any content of which parents should be aware. Jamie Martin is a highly sensitive, introverted mama of three, who loves books, tea, and people (not always in that order) and avoids answering the phone when possible. 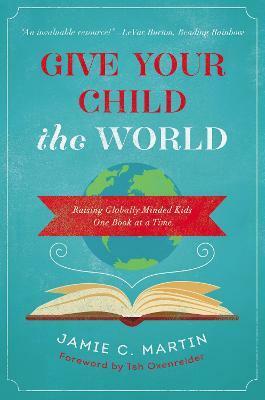 Author of Give Your Child the World, she shares thoughts on parenting and personality over at introvertedmoms.com. She lives with her family in Connecticut.